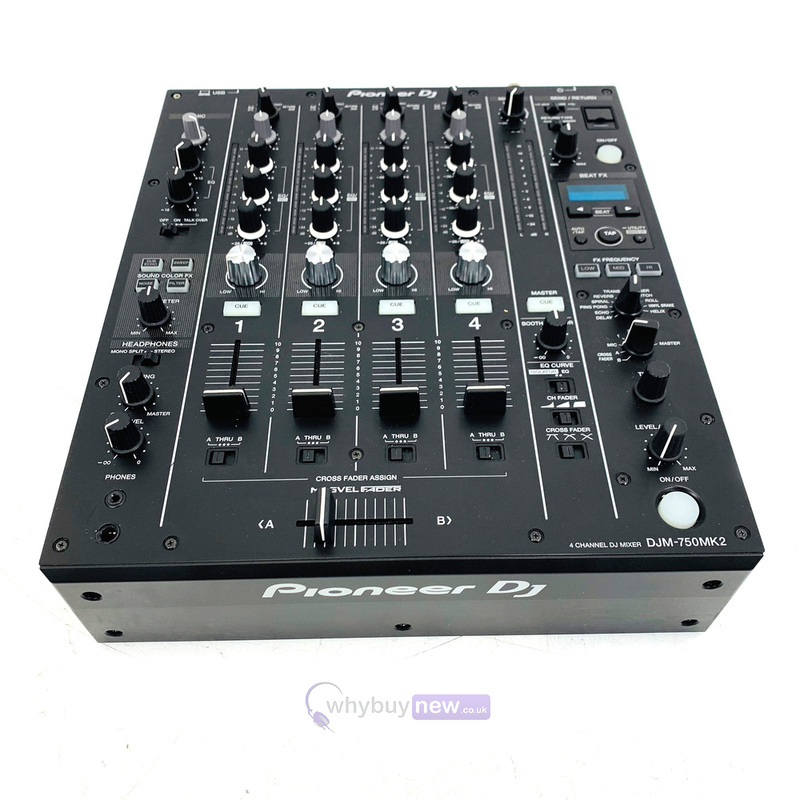 This Pioneer DJM-750 MK2 has come to us via a part exchange and comes with a 1 year warranty. 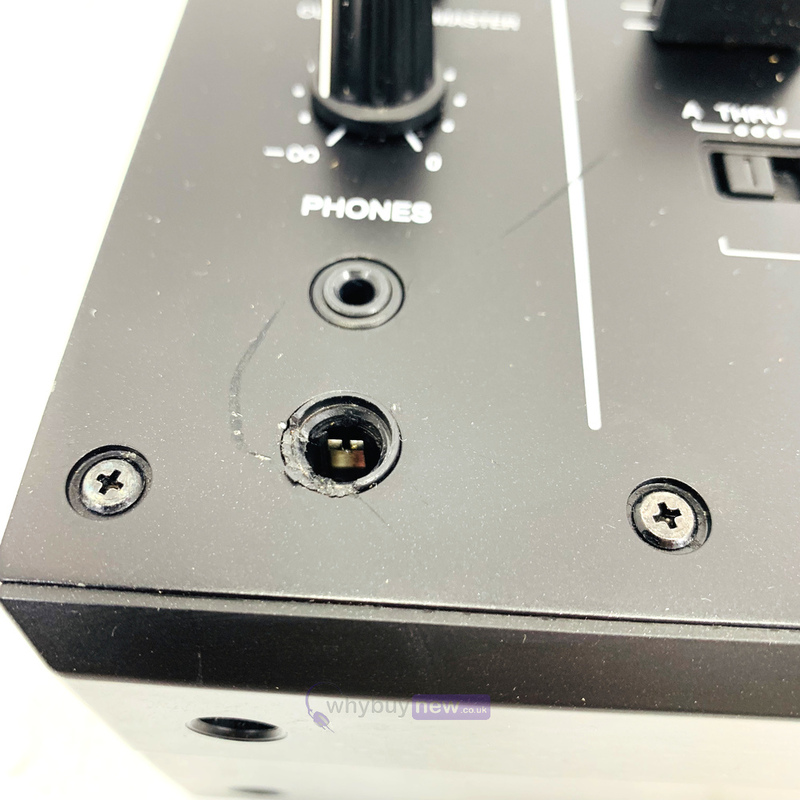 The item is in good to average cosmetic condition as there is a gouge near the headphone socket and some deep scratches on the item (please see photos). It comes with the power lead, RCA leads, manual and the original box. 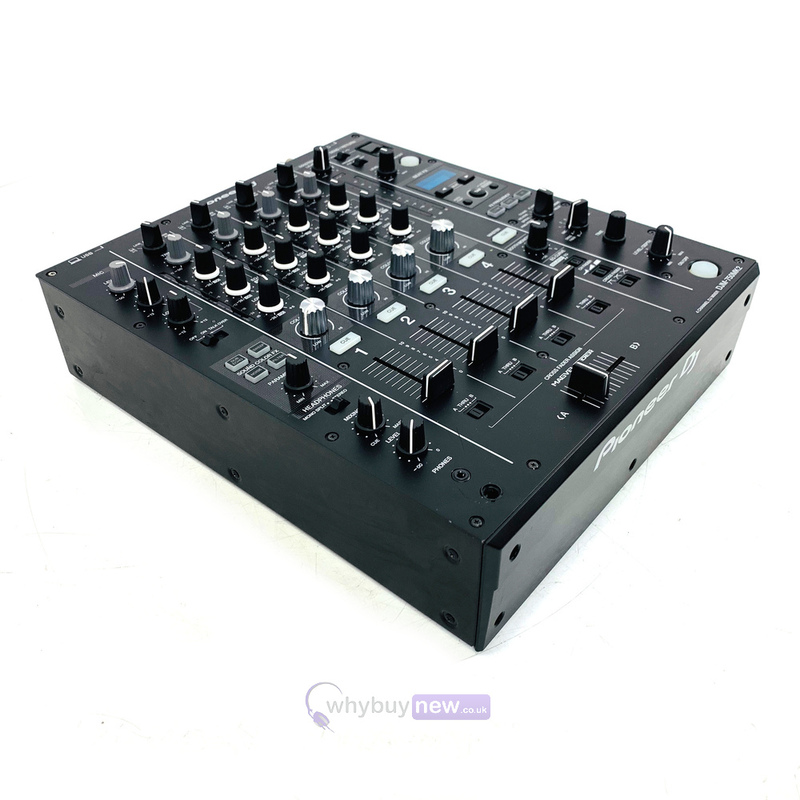 The DJM-750MK2 4-channel mixer replaces the DJM-750 and DJM-850 and inherits some of the professional features from the club-standard DJM-900NXS2, including the Magvel crossfader and Sound Color FX. You can perform seamless mixes on the DJM-750MK2 thanks to the smooth curves on the EQs and channel faders. The Magvel crossfader gives a precise response and assured feel during even the most complicated scratch techniques. 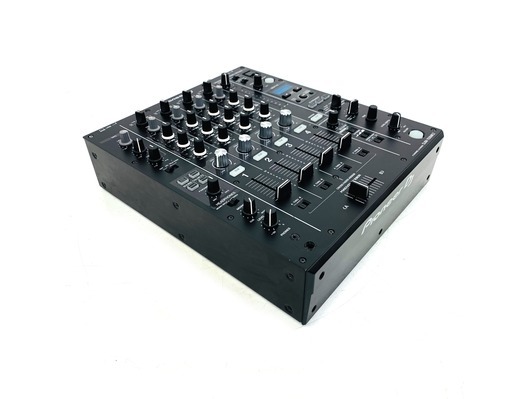 Mixing on the DJM-750MK2 feels instinctive thanks to the layout design with 4 channels and a display that draws on traits from the DJM-900NXS2 professional mixer, allowing you to practice in club conditions. Add texture and flair to your mixes with professional FX inherited from the DJM-900NXS2. 2 effects units combine Sound Color FX and Beat FX - including FX Frequency - giving you the freedom to be creative with sound while always in control. Choose from Aux or Insert send/return to connect different types of FX units on iOS devices such as FX apps, synthesizers and samplers, and combine them with the mixer's internal FX. A simple connection via USB will ensure high-quality sound. Whether you're playing with digital or analogue sources, high-quality sound is created by the 64-bit digital signal processor, dithering technology, 32-bit A/D converter and 32-bit D/A converter. 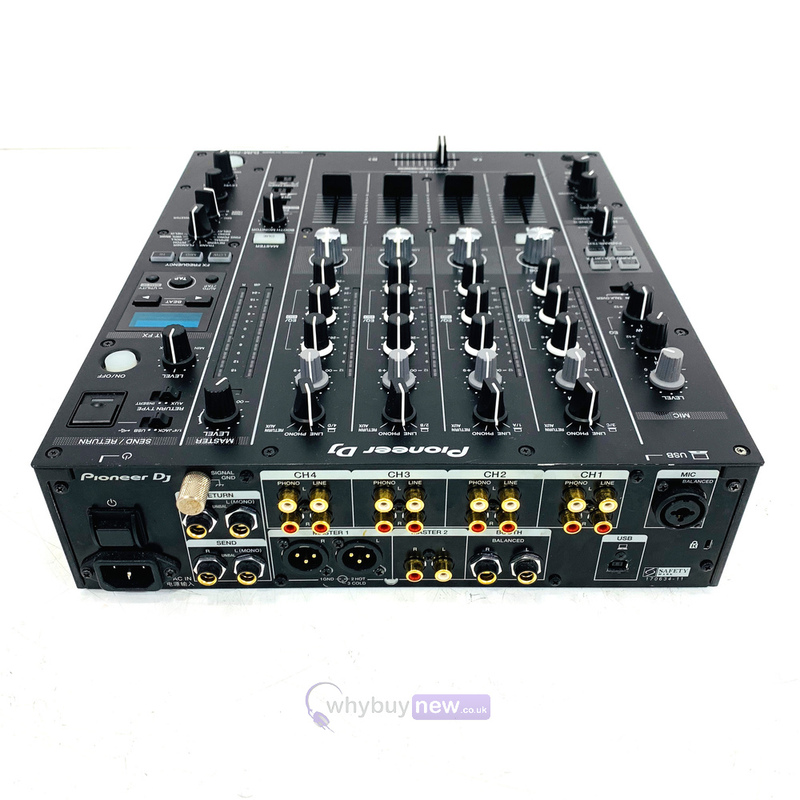 The EQs and channel faders on the DJM-750MK2 feature curves equivalent to those on the DJM-900NXS2, which also inspired the Magvel cross fader. The latter is smooth, accurate and durable for more than 10 million movements and its cut lag has been improved for more assured and responsive performance. 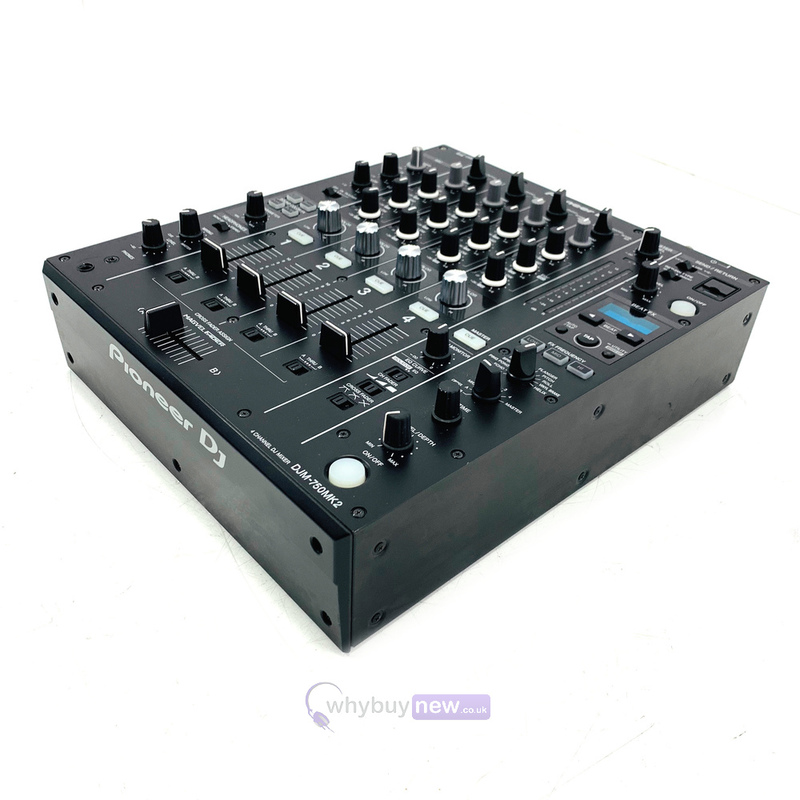 The DJM-750MK2 lets you plug both an ¼-inch stereo jack and 3.5-mm mini jack. Pick your size or attach 2 headphones when playing back-to-back. Use a microphone independently of the channel input.